Having won the Converse Rubber Tracks competition, Polka Wars flew to Brooklyn two years ago to record a few songs. 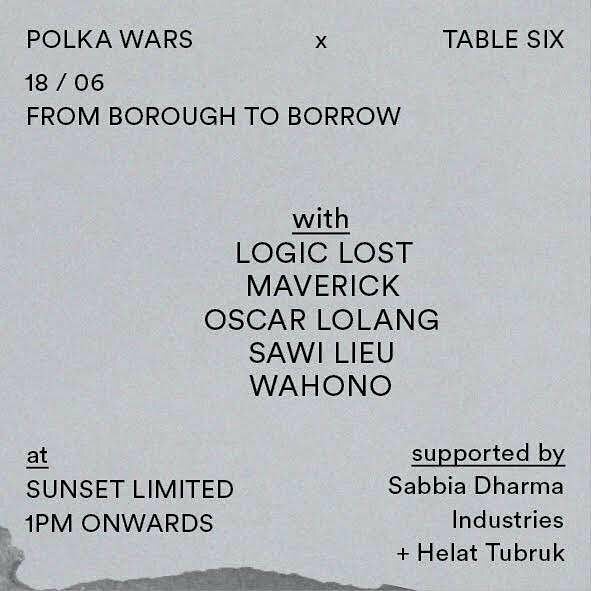 This Sunday (18/6) in collaboration with the Jakarta-based multidisciplinary design studio Table Six, they are throwing a pop-up exhibition at Sunset Limited (Jl. Kemang Timur No.69E, South Jakarta), where there will be an interactive photography and video installation along with music from DJs such as Maverick, Logic Lost, Wahono, Sawi Lieu, and Oscar Lolang. Polka Wars will also premiere their single from the mini-album they recorded in New York, whose title is still kept secret until the exhibition, and the song will not be available anywhere until the mini-album is officially released a few months after the exhibition. The only way to listen to that secret single in advance is to experience it straight from the event. This exhibition is a showcase for our experiences while we were in the Big Apple. New York is a cultural center, a splendor of cultural diversity spread across five continents; and that diversity is the major influence in this mini-album recording process. The path we took was an effort to capture the atmosphere of New York and Jakarta. In our opinion, the essence of art can be moved to another form without undoing its essence; so this applies to our exhibition as well as the material in the mini-album. The human soul has no limits, and neither does art."